Samsung has scheduled an event tomorrow where it's expected to announce the second wave of Galaxy A smartphones which will likely include the Galaxy A80 (or Galaxy A90 as it was formerly known). Just a day ahead of its expected unveiling, the Galaxy A80 has passed through a popular benchmark and appeared in its database along with its key specs. 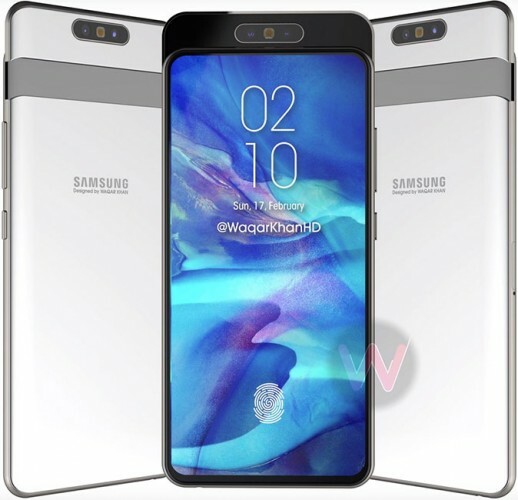 The Galaxy A80 is rumored to feature a 6.7-inch Full-HD+ OLED display devoid of any notch. It will come with a slider housing triple rotating cameras which can also be used for selfies and video calls. The smartphone is said to come packed with a 3,700 mAh battery with 25W fast charging support. We will hopefully have all the confusion surrounding the A80 and A90 cleared at Samsung's event tomorrow. 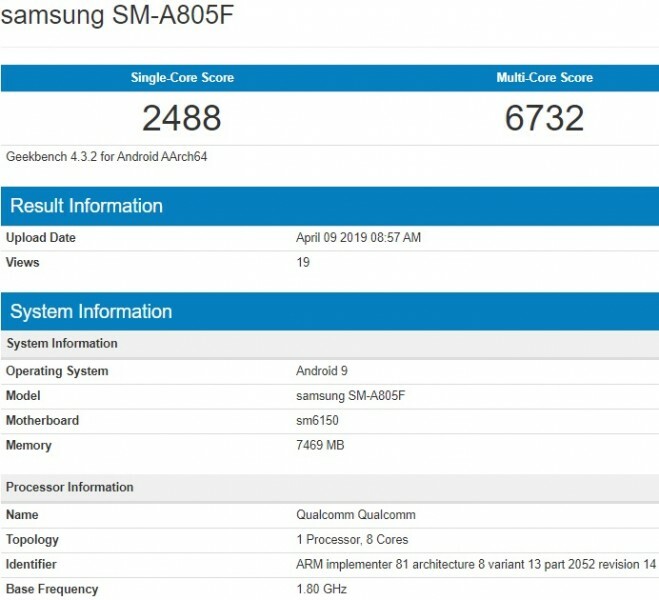 Single core better than snapdragon 845 huh? !